Dr. Cronauer is a board certified orthodontist who graduated from Tufts University School of Dental Medicine in 1980. In 1982, he received his Certificate in Proficiency in Orthodontics from the State University of New York at Buffalo. Dr. Cronauer has contributed to orthodontics not only by delivering extraordinary quality dentistry in his specialty area, but also by inventing and patenting several orthodontic tooth aligners sold under the trade name ClearAligner. 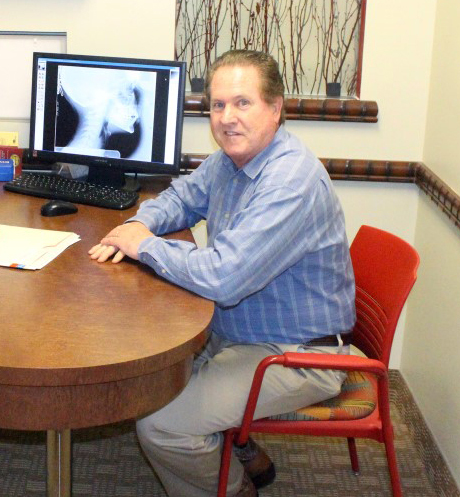 Dr. Cronauer believes in continued studying to present his patients with the very best care at all times. He is a member of the Memorial Dental Study Club, a study club which comprises of a variety of dental experts who are dedicated to achieve comprehensive dental care for each of their patients. Here various dental experts discuss topics like developments in technology and skills needed in the industry, but also how dentistry needs will have to be met in the future. Members of the club are also expected to be dedicated to excellence in their respective practices. Dr Cronauer is an active member of the American Dental Association, the American Association of Orthodontists, the Florida Dental Association, The Florida Association of Orthodontists and the South Florida Academy of Orthodontists. He is also a member of the College of Diplomats. Furthermore he is a past president of the South Florida Academy of Orthodontists and the South Broward Dental Society. Dr. Cronauer has been married to Dr. Julie Cronauer, an optometrist, for over 30 years. The couple has a son and a daughter.